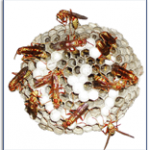 Pest Control Greenville, NC | Bug & Roach Control | Quality Termite and Pest Control Inc.
Quality Termite and Pest Control Inc. offers a pest control services that can eradicate a variety of insects. With years of knowledge and experience, we can identify the problematic pest and treat your home or property with the best viable solution. For more information about the bug control services we offer the greater Greenville, NC area, contact us today! They are light brown with 2 dark stripes down its back. They commonly infest kitchens and food storage and handling establishments. They are reddish brown in color with a shiny body. This roach has no wings so it usually infest lower areas of your house. For roach control, contact us today! They are shiny black hairless body with a red hour glass shape on its stomach. Usually found outside and very poisonous. They are shiny blackish brown beetles who are predators of other insects and may enter houses in the spring looking for other insects. They are dark brown with pale yellowish white and brown markings. 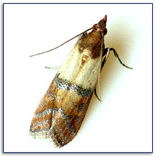 Commonly inhabits crawlspaces and attic and is non poisonous. Their color vary from a light to dark brown and are commonly found inside and outside trailing one behind the other to find water or food. They are solid black and sometimes have a red coloration. They eat on decaying wood inside and outside of the house. They have a reddish color and make mounds around sidewalk and in grass. They are rarely seen inside. Their color ranges from yellow and black stripped to reddish and dark brown. They commonly make a paper looking nest around upper areas of your home. They are black and yellow stripped. They eat holes the size of their body on any exposed wood and sometimes painted wood though not preferred. These bees can cause a great amount of wood damage. Males are aggressive hover around intruders but have no stingers. Females have stingers but spend most of their time in the hole they made. 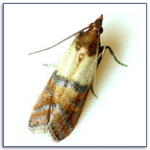 They are light brown and found usually in moist dark areas such as crawlspaces. They are dark brown with small legs. They move very slow and are found in moist dark areas and commonly invade lower areas of the house by the hundreds. They are dark reddish-brown with light brown legs and are about 5/8 inch long. They are also called roof rats or Norway rats. They are found outside, in crawlspaces, attics and garages. They are normally found outside, in crawlspaces, attics and garages. They infest kitchen areas eating through cardboards and plastics to find grains, cereals, dog and bird food. They are light brown with a silver tint on their wings. They make cocoons around ceiling areas close to their food source. They infest kitchen areas eating through cardboards and plastics to find grains, rice, cereals, dog and bird food. They are solid black and are seen crawling on shelves close to food sources.